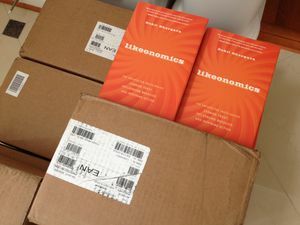 A few days ago I got the first shipment of my new book Likeonomics to my house. Right now the book is sitting in front of me and I really want to ask each of you to go out and buy it – but I can't. 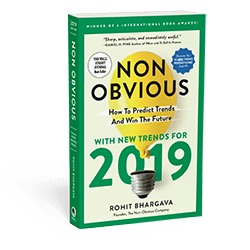 In fact, it really helps me if you DO NOT buy it yet – and the reason why explains a lot about the nature of timing, business, and what is broken with the publishing industry itself. Book sales, like movie sales, are reported on a weekly basis through a reporting system called called Bookscan. The Bookscan number is a key factor in helping to determine which books make "the lists" (NY Times Bestseller List and WSJ Bestseller list, among others). Hitting any of these lists for a new book is a chance to build momentum … which is a real and important currency in the fast moving world of publishing where there is ALWAYS a newer book than yours being released. Likeonomics officially launches on May 22nd. That is the date that it will physically be in bookstores, and I will be doing many of my media interviews. It is considered the "on sale" date in the industry. And the way that the publishing industry measures success means that if you happen to buy the book the week of May 20th (launch week), it matters more. In fact, it matters A LOT MORE … because that number resets every week. I realize that most authors don't really talk about this fact of the industry. So why am I tell you all this? One of the core beliefs of Likeonomics is that there is a real currency to unexpected honesty. It is why I told the story of the "Making of Likeonomics" several weeks before it was even out. I believe that if I don't hide my motivation from you, and share it openly – I can build trust, because I'm not trying to trick you. Would I LOVE if you bought the book at any time? Definitely. But if you don't mind waiting, buying the book on May 22nd means a lot to me. I will also have a few amazing special offers and incentives available on that date for people who do buy it then, including loads of free content and a few giveaways. And don't worry, if you have already bought the book, I'll make sure you get access to those offers too! 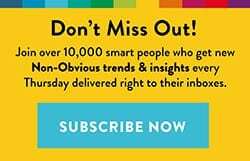 *I have some fairly unique bulk order special offers, including a few things (like 1 on 1 advice sessions and custom webinars) that I have never openly offered to anyone before. 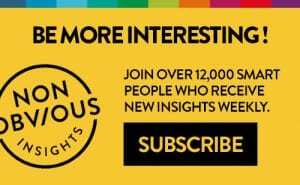 If any of that sounds of interest, visit the link above or send me an email at likeonomics@gmail.com and I'll happily share more information about that. 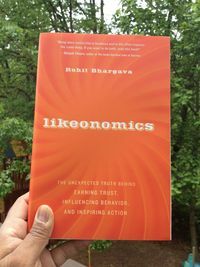 Thanks, as always, for reading and considering supporting Likeonomics on the week of May 21st!